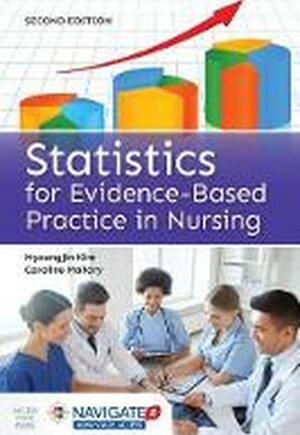 Statistics for Evidence-Based Practice in Nursing, Second Edition presents statistics in a readable, user-friendly manner for both graduate students and the professional nurse. This text is designed to promote a comprehensive understanding of statistics as applied in all aspects of clinical practice and health care settings. Due to health care reform and the emphasis on quality care and patient safety, nurse are required to have the skills to interpret and evaluate statistical findings for practice, as well as use statistics in the design of evidence-based practice projects. The Second Edition features case studies which reinforce learning by incorporating research and evidence-based practice to help students and professional nurses connect statistics with their day-to-day work. Statistics for Evidence-Based Practice in Nursing, Second Edition addresses the important topic of big data by outlining the challenges and opportunities for nurse leaders in practice as well as in education. The text also discusses how the use of big data will influence the future of evidence-based practice in nursing.